Tauriel is a Silvan Elf and daughter of Mirkwood. 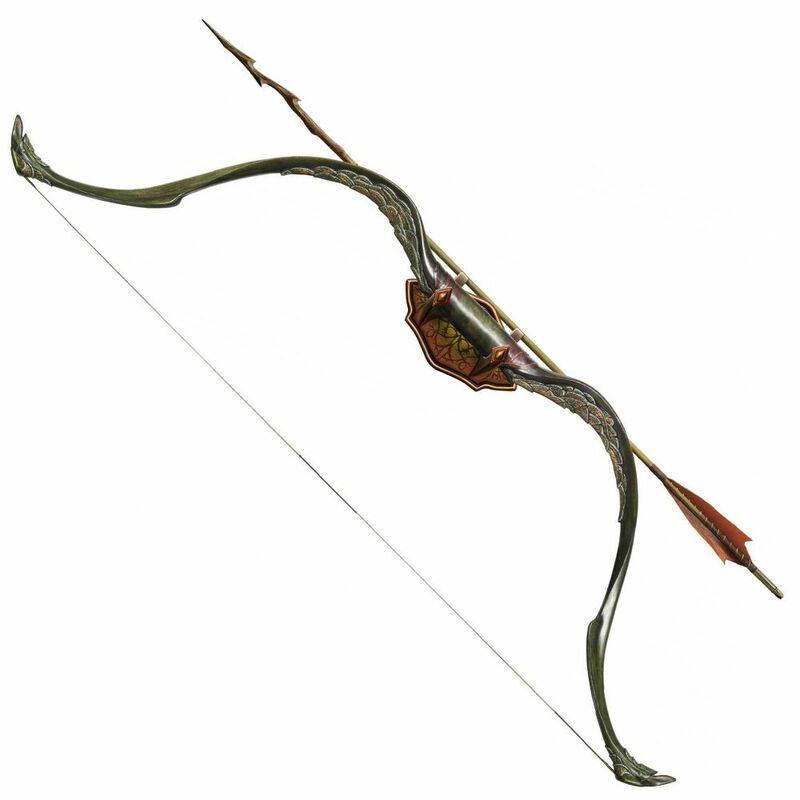 A favorite of King Thranduil and Captain of his Woodland Guard, she is an expert fighter and extremely fast and agile in battle. Her signature weapons are twin daggers and a bow. 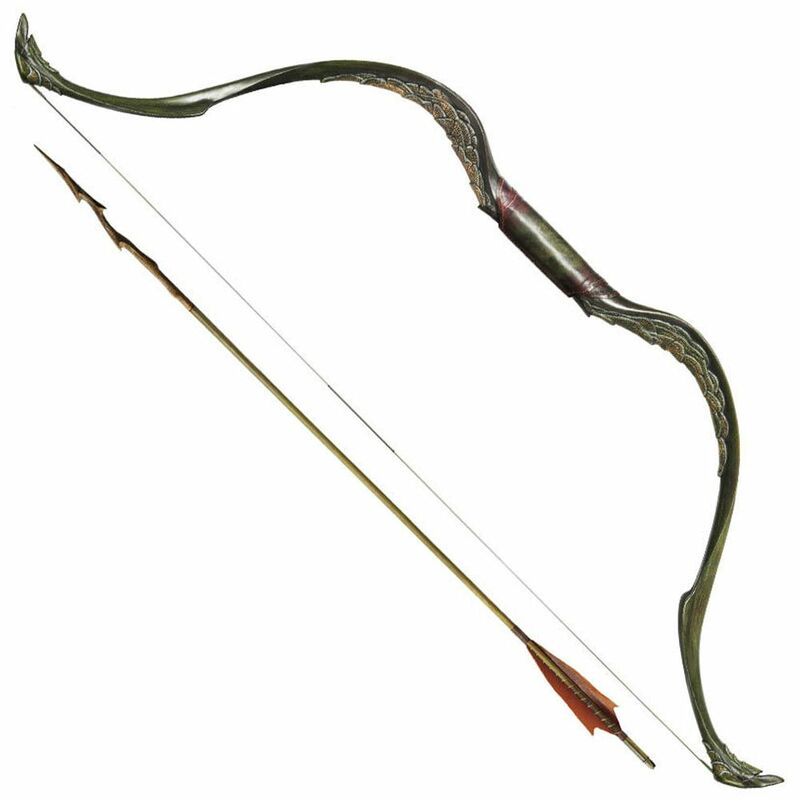 The bow is a deadly accurate traditional recurve design used by the Woodland Guard, ornately carved with leaf motifs and hoof-shaped string nocks. United Cutlery’s replica is crafted of steel-reinforced polyresin, with precise detailing and colors to exactly match the movie prop. It is presented with a poly stone wall mount featuring a graphic motif of Tauriel.